This year EOMAP has topped the category “Bathymetry” at the Geospatial World Innovation Awards 2017. The ceremony took place in Hyderabad, India. Together with their partners SevenCs and ChartWorld, EOMAP received the award for the derivation of electronical nautical charts (ENCs) from optical satellite data and their easy pratical implementation. 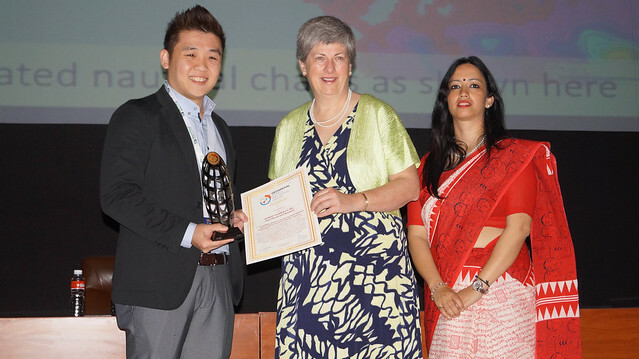 Alvin Lin from SevenCs gratefully accepted the award at the Geospatial World Forum 2017 Hyderabad. The full list of awarded companies and institutions is accessible here.